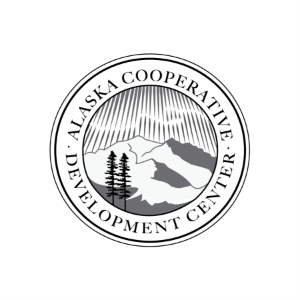 Alaska Cooperative Development Center - CooperationWorks! The Alaska Cooperative Development Program was organized with the goal to foster development of cooperative business enterprises in Rural Alaska, and to help Alaska producers and consumers to use cooperatives to provide economic base activities that can spur rural economic development. University of Alaska Fairbanks and Andrew Crow of the Center for Economic Development at the University of Alaska Anchorage. The ACDP grant was one of twenty cooperative development grants awarded by the Department of Agriculture nationwide in 2006. Cooperatives play a major role in the economy of rural areas of the United States. Many well know brands, such as Land o Lakes Butter, Tillamook Cheese, or Ocean Spray Cranberries are produced by coops. In Alaska the cooperative business model is widely used for utilities (Rural Electric Coops and telephone coops) and banking (Credit Unions) but producer and consumer coops, have had little success. As a result there is a shortage of information on how to organize, manage, and develop businesses organized as cooperatives. The ACDP hopes to fill this gap. The ACDP assists new and existing cooperative businesses in Rural Alaska, from shellfish farms to electrical cooperatives, including farmers, fishermen, small rural utilities, and other natural resource based industries; with educational programs aimed at providing information on how to organize, manage, and develop cooperatives as businesses. The ACDP is the only organization in the state solely dedicated to assisting and promoting coops as a business model. As part of a large, nationwide effort by the Department of Agriculture it can draw on expertise both inside Alaska and from areas of the United States with much greater experience with coops.